We love sweet potatoes because apart from being totally delicious, they pack a ton of vitamins and nutrients like vitamin A and C. These are great with any protein for dinner, and also work very well as an appetizer. If you normally don’t like sweet potatoes, give these a try! We like to leave the skin on for extra nutrition, but peel ’em if that’s your thing. You can also use yams in place of the sweet potatoes in this recipe without a problem! 1. Scrub sweet potatoes with a coarse brush until clean and free of dirt. 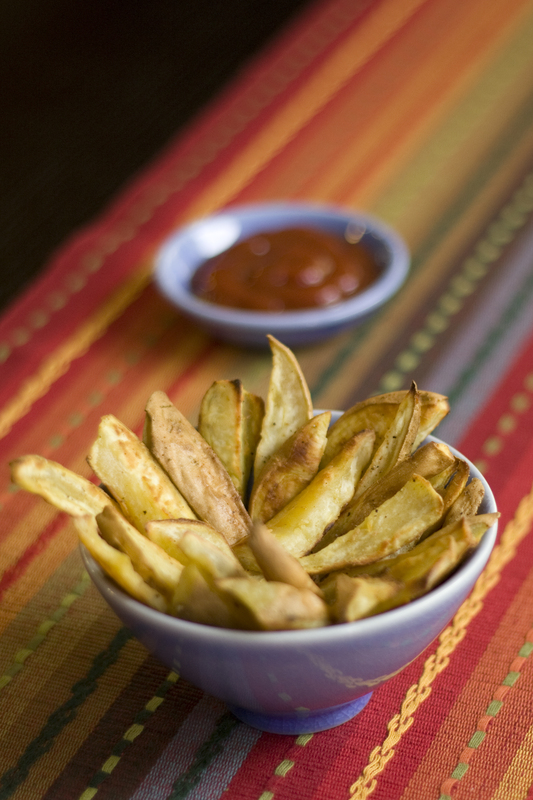 Cut 1/4 inch thick and 3/4 inch wide, or however you desire; we prefer steak cut fries. 2. Place sweet potatoes into a bowl with garlic powder and olive oil. Mix until fries are well coated. 3. Prepare a baking tray with parchment paper. 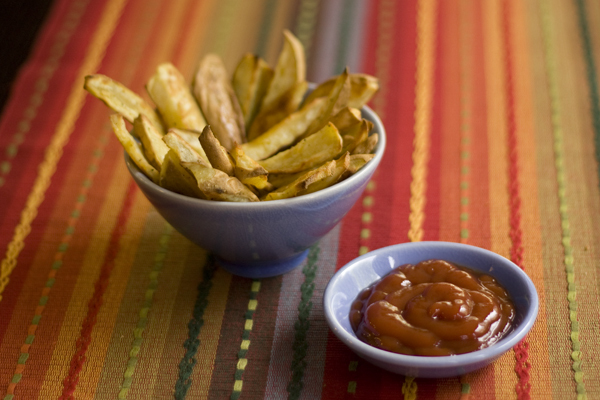 Rub olive oil on parchment paper so fries do not stick. 4. 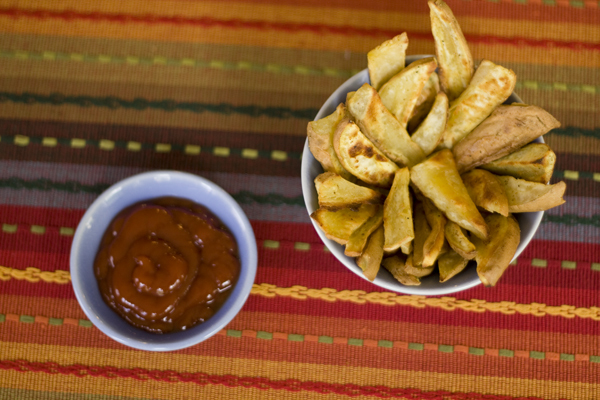 Place fries on baking sheet and sprinkle them with salt and pepper to taste. 5. Bake at 425 for 15 minutes. Flip and bake for another 10 minutes, watching fries closely to make sure they don’t burn. Looks delicious! Beautiful photo! Thanks for sharIng!